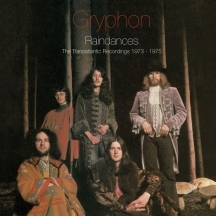 Esoteric Recordings are pleased to announce the release of "Raindances", a 2 CD anthology featuring every track from the four albums released by Gryphon on the Transatlantic label between 1973 and 1975. One of the most original groups to emerge in the Progressive era, Gryphon came together at the instigation of Royal College of Music students Richard Harvey and Brian Gulland, initially as a vehicle to fuse traditional English music with Medieval and Renaissance music influences. Utilising various traditional instruments such as Crumhorns, Recorders, Bassoons and Mandolins, Gryphon expanded with the addition of Graeme Taylor on guitar and Dave Oberle on drums and percussion. 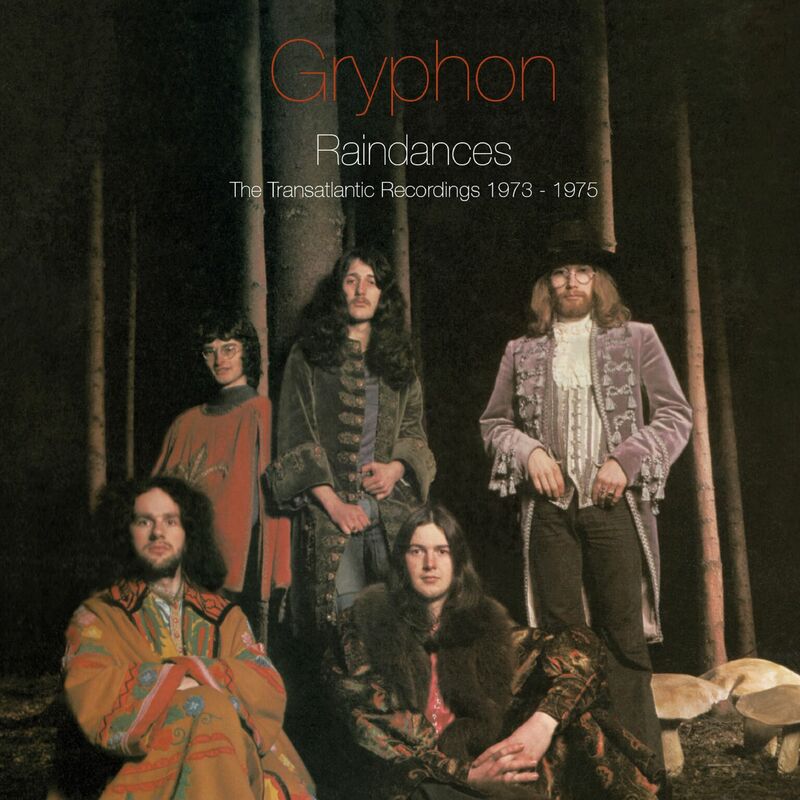 Singing to Transatlantic Records, Gryphon released their eponymous debut album in June 1973, adorned in a striking cover designed by Dan Pearce. The uniqueness of their musical style led to a commission to write a score for a stage production of The Tempest in 1974, parts of which formed the band's next album, "Midnight Mushrumps", released in April 1974. By this time bass guitarist Philip Nestor had joined the fold, and the band began to explore more progressive influences (with the album's title track being an 18 minute opus). The progressive rock influences became even more apparent on Gryphon's acclaimed third album, "Red Queen to Gryphon Three", released in December 1974. The album was one of the most successful of Gryphon's career and the diversity of their music saw Gryphon earn the distinction of being the first artists to appear on all four BBC radio networks in one week. During this time Gryphon also toured as the support act to the legendary band YES, gaining new followers as a result. "Raindance" was Gryphon's final album for Transatlantic Records. Issued in 1975, the record saw Philip Nestor replaced by Malcolm Bennett and was another successful record.